The modern world seems to be all about disposability. Everything from gadgets and food packaging to cars and furniture – when it’s outlived its usefulness, it’s off to the tip! But most of the stuff sent to the landfill as a habit can be recycled and sold on to a new home. Take the example of a sofa. Even ones showing wear and tear will likely be snapped up by a local charity. There are plenty out there willing to come and collect old furniture for free and take it away to be supplied to those a little further down the lifestyle ladder. Sounds like a better deal than dumping an old sofa outside the local tip, doesn’t it? Recycling – It should be the buzzword for all current and future generations. Recycling laptops, furniture, rabbit hutches, rainwater, newspaper, tins, old double-glazing – there’s always someone a little further down the rungs who could doubtless find those old bits and bobs useful. Let’s use the example of laptops. Why bother to recycle old laptops, especially ones that have bitten their last byte and gone into sleep mode for the last time? It’s all about what’s inside laptops – heavy metals, toxic chemicals and harmful materials that do serious damage when left in an ecosystem to fester. Harmful Materials Used in Laptop Components. Heavy metals like lead, nickel and cadmium can cause brain damage, even at very low levels. But there are other less well known toxic chemicals lurking inside an old laptop – phthalates, arsenic and bromine. 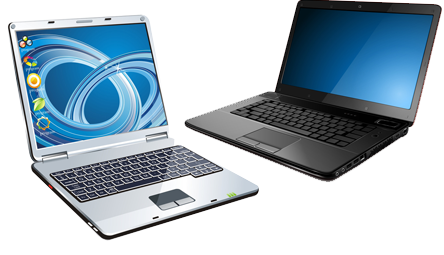 Bromine is in roughly 40% of all electronic components used in laptops, and poses very little threat to health whilst safely tucked away inside a well cared for device. It only becomes dangerous when exposed. Bromine is corrosive and can cause severe health problems relating to the respiratory system, eyes and skin. Phthalates and arsenic are closely linked with cancers and organ failure. They’re among the most toxic chemicals currently known to science and so are treated with kid gloves in terms of designing electrical components that safely house the dangerous substances. But once these devices enter a landfill, they can be damaged very quickly, allowing harmful toxic materials to leak out and detrimentally affect the ecosystem. Despite their reputation as being harmful, a lot of the toxic materials inside old laptops are also valuable. There are plenty of firms out there with the means to recycle laptop, smartphone and tablet devices in order to strip them of valuable metals and components. Most will offer a set amount for broken items, raising the quote for items that are repairable or in working order. The main difference often comes when the devices are broken. A working laptop can be sold on to a new owner. It could even be distributed by a charity to schools and homes that could make use of it. Parts of Africa and India are prime locations for second hand gadgets from Europe and America, especially in rural areas. Fiona Gallagher is an online writer who has written for a number of publications and websites, including laptoptradein.co.uk. Worker Fall Leads to Court Case for Company!